Data showing how many horses have been sold to slaughter per year, nationwide, can be extrapolated from readily available public records going all the way back to 1850. Throughout this time, coinciding with the advent of railways that enabled brokers to transport animals long distances to slaughter, the overwhelming majority of horses sold to slaughter have been either those at the end of their working utility to humans or the unwanted surplus from speculative breeding. Speculative breeding rose rapidly as a source of horses sent to slaughter as employment of horses for transportation declined. Mass roundups of wild horses (and burros) for slaughter have never been a huge part of the slaughter traffic at the national level. Yet the exceptional cruelty inflicted on wild horses during roundup and transport have been focal to concern about horse slaughter since Velma “Wild Horse Annie” Johnston (in the 1950s) and the 1961 Marilyn Monroe/ Clark Gable film “The Misfits” brought the roundups to public notice more than 50 years ago. To horses used to being handled by humans and being hauled among shows, racetracks, and breeding venues, the journey to auction and slaughter does not obviously differ much from any other. But the terror of horses unused to humans, as they are swooped upon and driven by helicopter, then trucked to be killed, is evident to almost any observer. Currently about one percent of the horses exported from the U. S. to slaughter are wild horses, according to data collected in 2009 by the Unwanted Horse Coalition. The Wild, Free-Roaming Horses and Burros Act of 1971 nominally protected wild equines from being sold to slaughter but only those wild equines who inhabit public lands under the authority of the Bureau of Land Management (BLM). The law allows the BLM to round up “surplus horses” for “adoption,” a system which has been notoriously abused from inception. After about 25 years of frequent exposés of high-volume "adoptions” to killer-buyers, the BLM tightened adoption procedures enough to slow the volume of wild horses going illegally to slaughter. But the adoption market is so weak and the livestock industry pressure to remove horses from leased grazing land is so great, that throughout the present century the BLM has had more wild horses in holding facilities––now about 49,000––than the estimated 40,000 who remain on the range. A 2004 stealth rider to an Interior appropriations bill attached by former Montana U. S. Senator Conrad Burns appeared likely to reopen high-volume commerce in BLM wild horses for slaughter. Sec. 142. Sale of Wild Free-Roaming Horses and Burros (a) In General. Section 3 of Public Law 92-195 (16 U.S.C. 1333) is amended . . .
. . . (e) Sale of Excess Animals. (1) In General. Any excess animal or the remains of any excess animal shall be sold if (A) the excess animal is more than 10 years of age, or (B) the excess animal has been offered for adoption at least three times. (2) Method of Sale. An excess animal that meets either of the criteria in paragraph (1) shall be made available for sale without limitation, including through auction to the highest bidder, at local sale yards or other convenient livestock selling facilities, until such time as (A) all excess animals offered for sale are sold; or (B) the appropriate management level, as determined by the Secretary, is attained in all areas occupied by wild free-roaming horses and burros. This amendment was added without discussion or agreement of the public or the rest of Congress. Taking advantage of his position as chair of the Interior Appropriations Subcommittee, Senator Burns slipped the amendment into the 2005 Consolidated Appropriations Bill Conference Committee Report without the knowledge of Congress and without the opportunity to debate or strip it off by vote, since committee reports cannot be amended. The Bush Administration and, apparently, Nevada Senator Harry Reid, Senate minority whip, were fully aware of the measure and allowed it to be added despite the fact it violates Senate Standing Rule XVI, although the latter denies this claim. The Burns rider, however, has been suspended since 2005 by language included in annual Interior appropriations bills. The Wild, Free-Roaming Horses and Burros Act of 1971 never applied to wild equines on private property, state land, or non-BLM federal land, including land managed by the U. S. Forest Service, National Park Service, Fish and Wildlife Service (FWS), the armed forces, and Native American tribes. 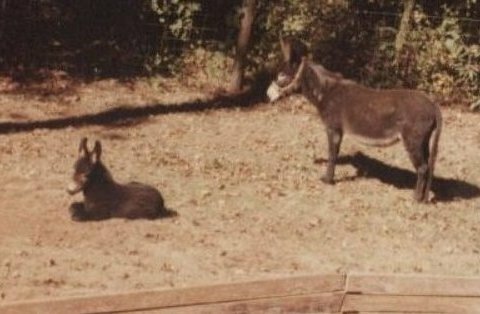 The wild burro rescues from National Park Service property that made The Fund for Animals famous in the 1980s, were the signature actions of Wild Burro Rescue in the 1990s, and for which Peaceful Donkey Sanctuary has become known more recently, all resulted from this Congressional omission. 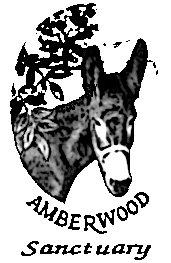 Each burro rescue was triggered by National Park Service threats to shoot wild burros as an alleged invasive species––and, indeed, many burros were shot in each case before the animal charities stepped in. Instead of shooting wild equines, other land-holding agencies have mostly just quietly rounded them up and sold them to slaughter from time to time. Seldom have these roundups and sales attracted more than transient notice, but that changed abruptly in mid-2013 when the Navajo Nation Department of Agriculture issued a statement in support of the Valley Meat Company application to slaughter horses. The statement alleged that 75,000 wild horses on Navajo lands are contributing to the ecological damage done by several years of worsening drought and acknowledged that some Navajo had already been rounding up and selling wild horses at auction, aware that some might be bought for slaughter. Meanwhile in northern Nevada, former Florida state senator Joseph Abruzzo in August 2013 brokered a deal on behalf of Saving America’s Wild Horses founder Madeline Pickens that enabled the Triumph Foundation to buy 150 mustangs who were to have been auctioned by the Fort McDermitt Paiute-Shoshone Tribe. Endowed by Chesapeake Petroleum board chair Victoria McCullough, the Triumph Foundation paid $193 apiece for the horses, who were to be distributed among many different rescue charities. Another 167 horses were auctioned to probable slaughter. In November 2013, the American Wild Horse Preservation Campaign asked the U. S. Senate Environment and Public Works Committee to investigate the Fish and Wildlife deals with Palmer. The National Research Council findings urgently need to be incorporated into a comprehensive new wild horse (and burro) management policy, no longer centered on horse removals to placate ranchers who are currently pasturing 8.9 million cattle on the same lands: 223 cows per horse. Also to be taken into account is that at the passage of the Wild, Free-Roaming Horses and Burros Act of 1971, wild horses (and burros) had few significant predators. The act accordingly reflected a perceived need to manage wild horses (and burros) in absence of predation. Wild horses (and burros) are now among the prey of increasingly abundant pumas, wolves, and, in the northern Rockies, recovering populations of grizzly bears. Further, at the passage of the Wild, Free-Roaming Horses and Burros Act of 1971, development of effective contraceptives for wild horses (and burros) was still only a theory. Wild horse contraception is now a thoroughly tested technology, licensed and available for use wherever appropriate.